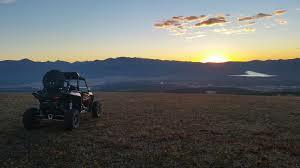 Ride on a high-end UTV in the backcountry with an experienced guide. Take in the vistas while you’re at it!. On this two-hour trip, drink a toast to a beautiful sunset with wine & great company!